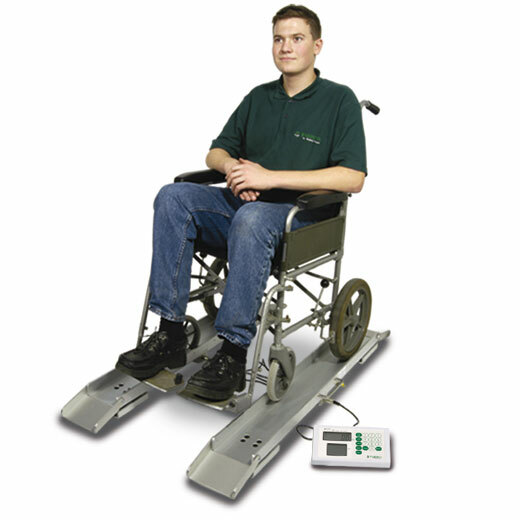 Wheelchair Weighbeam Scales With digital Readout. 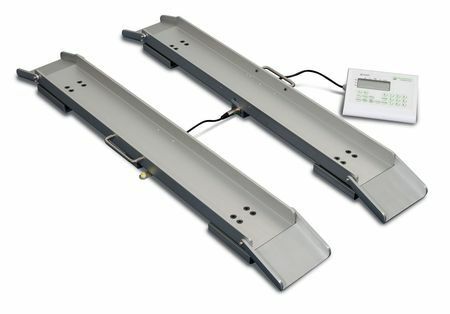 Weighing only 8.5 kg each, these portable wheelchair weighbeams have all that you'd expect from Marsden and the Active Mobility Centre. They have a clear digital readout and are simple to use - and whether you're measuring weight, BMI or both, the data out port allows connection to a Marsden Printer - meaning its easy to analyse results and progress. Reliable too; their internal rechargeable battery pack can provide up to 80 hours continuous weighing! And with the weighbeams being so light, an optional carry case is available, containing a robust case for the digital display and cables, along with carrying bags for each beam that have been padded for shoulder use. Weighs up to 150kg (23 1/2st) in 100g (1/4lb) increments and between 150 and 300kg (23 1/2 and 47st) in 200g (1/2lb) increments. Dimensions 120 x 150 x 95mm (47 x 6 x 4") per beam.